If my memory serves me right, basic macroeconomics tells us that raising taxes is quite okay as long as they’re used for proper government spending like infrastructure. A lot of car enthusiasts have been irked by the proposed excise tax hike on private car purchases. The budget secretary claims that all these new taxes will be used to fuel the infrastructure projects. The administration plans to spend PhP 8.2 trillion pesos over the next six years to bring the country to a “golden age” of infrastructure. Personally, I have no problems paying taxes (or more at that) as long as they’re spent for public good. That means, I don’t mind paying if the public schools get better, public hospitals become life-saving venues rather death-traps, and the daily commute becomes a 30-minute drive as it should have always been. The car angle’s quite interesting. Among the bad about it is that cars aren’t really built to last these days. With the bunch of proprietary electronics cars pack nowadays, once they start conking out after the warranty, it even starts to make sense to just buy a new car. So this plan actually puts driving enthusiasts in a bind. If the plan pushes through, expect to pay a whole lot more for a lot less car to enjoy. But what if (and it’s a big IF) the infrastructure projects actually make a difference in our driving lives? Viable mass transport system. Anything that would lessen the cars on the road so driving would be more of a luxury than a necessity. Not privatized. 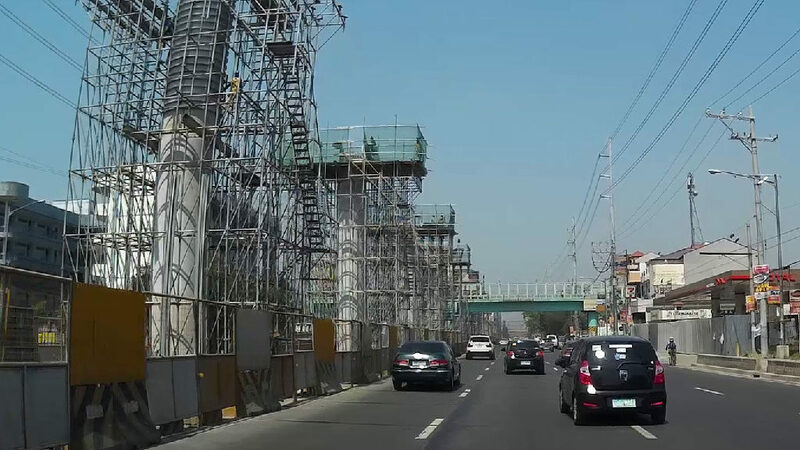 So they’re continuing plenty of the planned massive roadworks and projects like the SLEX-NLEX connector. But if they’re using the added tax to fund it, it must not be privatized. No other party should be allowed to profit from toll though these public-private partnerships are may muck this up. Quality build. How many infrastructure works have we seen fail as soon as the heavy rains hit? Too many. So enough of the shoddy builds and make sure all structures put up would withstand normal use, natural disasters, and time. Curb flooding. One of the reasons why small cars aren’t so feasible these days is because it floods everywhere. Good luck with gutter deep floods with a small car. But with the excise tax, your compact CUV (EcoSport, Juke, etc..), by 2018, will cost about the same amount a mid-size SUV (Fortuner, Montero, etc…) costs today. So if all I can afford is a Wigo, I should be able to not worry about floods on my commute. No entitled convoys of politicians. The wang-wangs are back and I don’t ever want to see entitled politicians hog the roads that we pay for. Better government services overall. So most of these points are mainly about road works but if we’re to pony up more of our hard-earned money to the government, we deserve better. So much better.